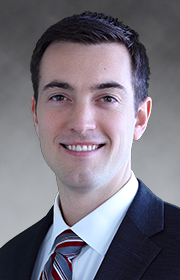 Will Moore – Tudor, Pickering, Holt & Co.
Will Moore serves as an Associate in the Investment Banking division. Previously, Moore was an associate in the energy investment banking division at CIBC World Markets. Prior to attending business school, Moore served in project engineering and planning & strategy roles at Hess Corporation. He holds a BS in Mechanical Engineering and a BBA in Finance from The University of Texas at Austin and an MBA from Harvard Business School.